This Gorgeous, Executive Pool home has been beautifully updated and remodeled. The home offers 5 bedrooms, 3 full baths, a 3 car garage and is located on a private fenced home site with a beautiful backyard you won 8217;t want to leave. 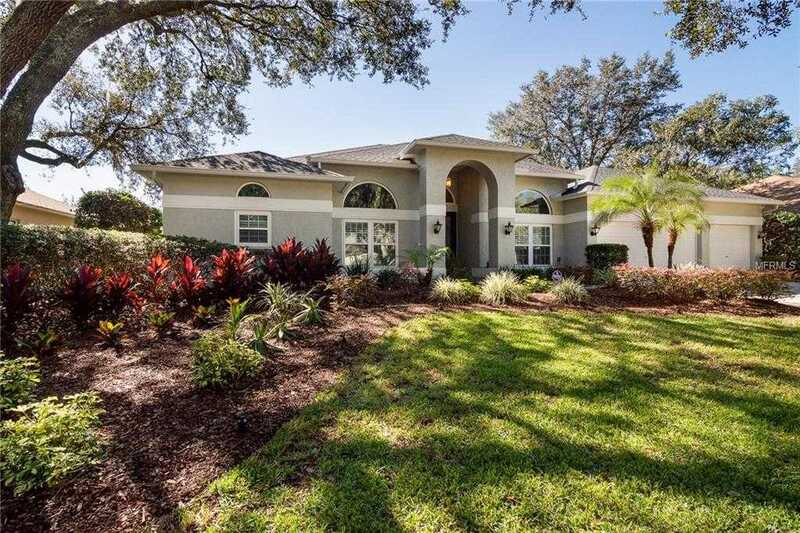 This lovely home truly offers Florida living at its best. Don 8217;t miss the opportunity to own this move in ready home. Enjoy entertaining in your kitchen that has been updated with custom, thick granite counter tops and Stainless Steel appliances. This home boasts an elegant, step down, formal living & dining rooms. High ceilings, crown molding, architectural features all add to the elegance of this home. The Master suite features an owners 8217; retreat with wet bar overlooking the brick pavered lanai and heated pool. The bonus room is just off of the family room featuring a Billiards table and views of the pool. Be sure to check out the 3D Virtual Tour of this amazing home. 13; 13; Tampa Palms presents a golf course, tennis court, pool, spa, club house with dining, fitness room, and offers summer camp! Tampa Palms is also located near 5 Star Dining, award winning Golf and Country Club, YMCA, I-75, USF, and plenty of shopping. Amenities Additional Fees: Access to 5 parks, banquet facilities, Compton Park pool included in hoa fee. Please, send me more information on this property: MLS# T3143787 – $525,000 – 4913 Hallstead Way, Tampa, FL 33647. I would like to schedule a private showing for this property: MLS# T3143787 – $525,000 – 4913 Hallstead Way, Tampa, FL 33647.